Soon, there will be a Hatchtopia feature story on what I consider to be the “Golden Age” of hatchbacks – generally the mid-1980s. But there are a few holdouts from that period that soldiered on into the new millennium – the first generation Mazda6 among them. Of course, the 6 is a direct decedent of the old 626, which was available as a hatchback during those golden years of the 80s – with the lustworthy 626 GT Turbo closing out the decade. The demise of the #2# – model series Mazdas made way for the new 3 and 6 models, both available in a variety of body styles. The 6, being the larger of the two, aimed for the squishy midsection of the North American market, populated with such heavy hitters as the Honda Accord, Toyota Camry and Nissan Altima. What the 6 offered that these other mainstreamers didn’t was the choice of 4 or 5 doors in the form of a sedan, hatchback and wagon. Hatchtopia’s staff is feverishly working on getting it ready for a mid-January release. So if you didn’t get a calendar in your stocking this year, don’t settle for a sad leftover at a Christmas clearance sale – ordering information and a full preview will be available soon! When was the last time you saw a Dodge Shadow – especially one this clean? I’m thinking 1993 at the very latest. With the exception of an odd dent in the roof, this must be the cleanest Shadow remaining on earth. Soon, Hatchtopia will be transitioning to a dedicated domain – which unfortunately costs money. Not a lot, mind you. That said, Hatchtopia will be trying to raise a few bucks to pay for the domain registration. Accordingly, a calendar will soon be on offer in the Hatchtopia Shop, along with some other branded products. Hatchtopia has been out and about, looking for the most promising hatchback models to star in the upcoming calendar – but if you have any hi-res photos you’d like to submit, by all means, let us know in the comments section below. Speaking of comments, leave some! Usually, posts are written in a sort of open-ended manner to hopefully aid in dialogue. So if you have something to say – like that the author is a complete raging moron, or brilliant (more likely the latter) – do so. You’ll likely get a response, and there’s nothing more thrilling than interacting virtually with a world-famous published author, right? 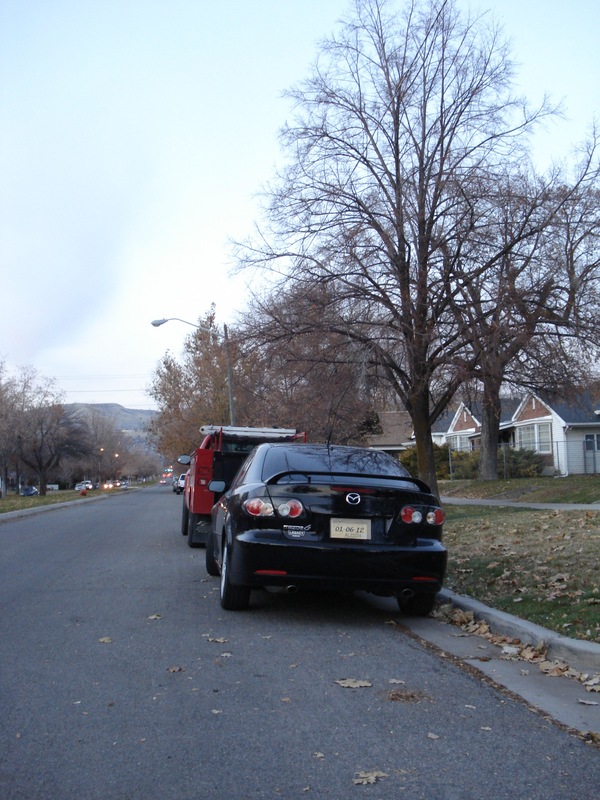 Parked on a Sandy, Utah street – a Toyota Prius. Odd choice for Hatch in the Wild? Perhaps, but it gives way to a little debate and some fun with Photoshop. Don't comic heroes usually have more muscle? Is this the superhero that will save the world? Time will tell. Until then, love it or hate it, this is what a “hybrid” looks like. 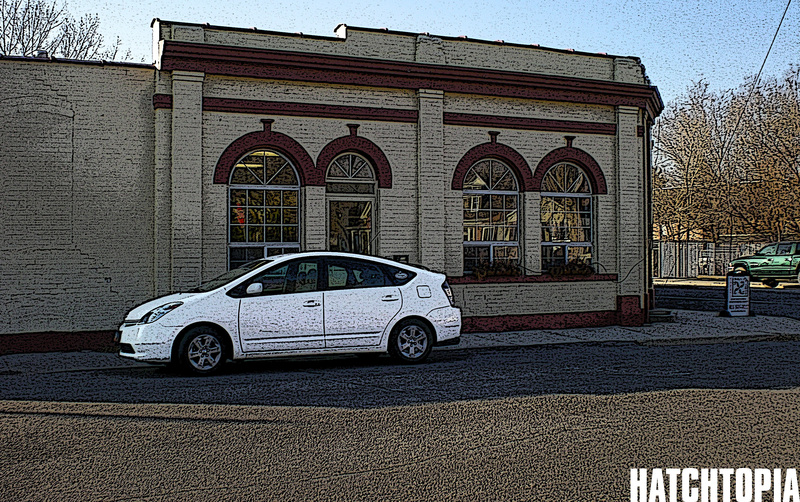 The hybrid revolution started with the Toyota Prius in 1997, and has since spread to nearly every other manufacturer selling in the US. 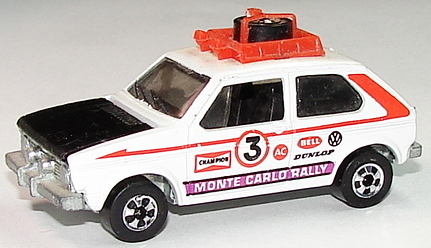 For whatever reason, the form factor chosen for this revolution was the hatchback. Along with that original Prius – the Honda Insight, when introduced in 2000, was a three-door hatch. 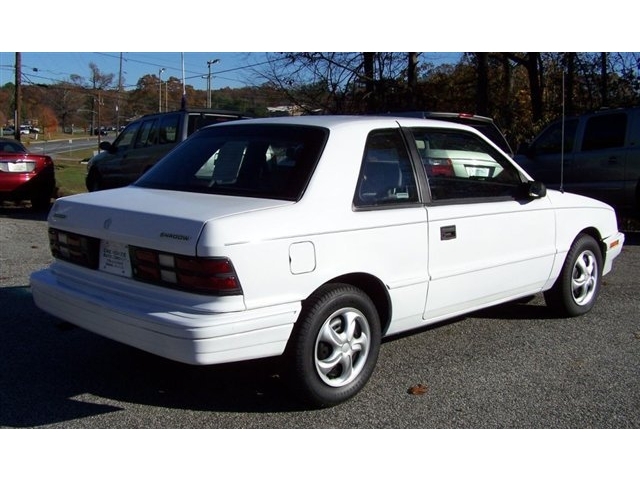 The original GM EV1 (yes, it was a full electric, so sue me) was as well. The 2009 redesign of the Insight drew obvious cues from its Toyota competition, becoming a five-door. It almost seems that like a tissue is a “kleenex,” a boxy five-door is a “hybrid” to many people. 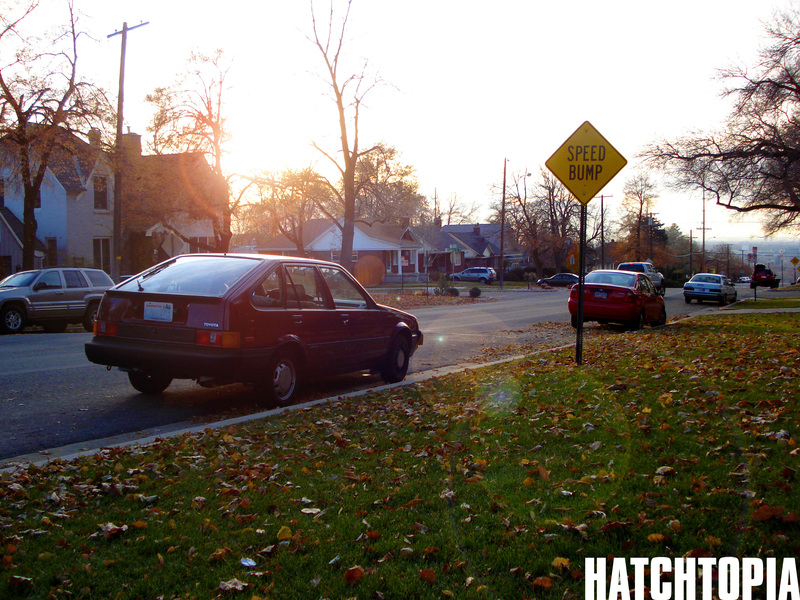 On a recent hazy evening in Salt Lake City, a golden era hatchback sits and waits to serve its master. 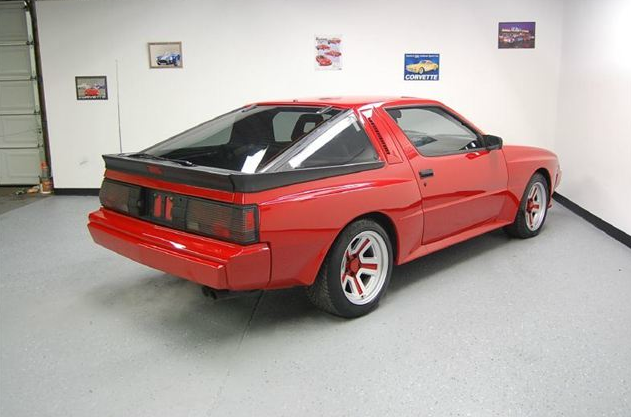 I’ll go ahead and date myself here, but the Chrysler Conquest/Mitsubishi Starion was the car when I was in high school… that is, if you didn’t lust after domestic iron like a Camaro or Mustang. With its wildly flared wheel arches and steamroller tires, the Conquest had a presence that not many late 80s cars had. There are a lot of vehicles for sale discussed on this blog, and honestly, they’re all quite affordable as cars go. 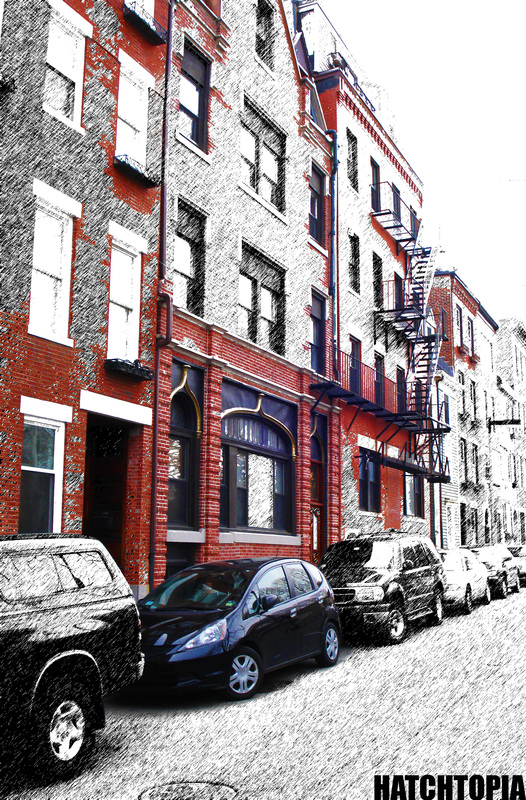 Then again, perhaps you don’t need a new car – the hatchback you’ve already got meets your needs, is paid off, whatever. So I present to you the first in an occasional series of more affordable hatchbacks. Okay, I’ll admit it – that last Hawking a Hatch post was pretty much a turkey. A bit late for Thanksgiving too. This one is a little better. Remember the checklist I had for cool cars back in high school? You know, pop-up headlights, hatchback, etc.? Well, this car met the criteria, and in fact was the very car I was shopping for on the day I ended up with the Geo Prizm. The first generation Acura Integra was a ground-breaking vehicle. Imported from Japan by Honda, it was a part of Honda’s new luxury line, and probably the first true luxury compact. Available in two trim lines – either well equipped, or very well equipped, early Integras were powered by a fuel injected, dual overhead cam 1.6 liter four pushing 113 horses to the front wheels. 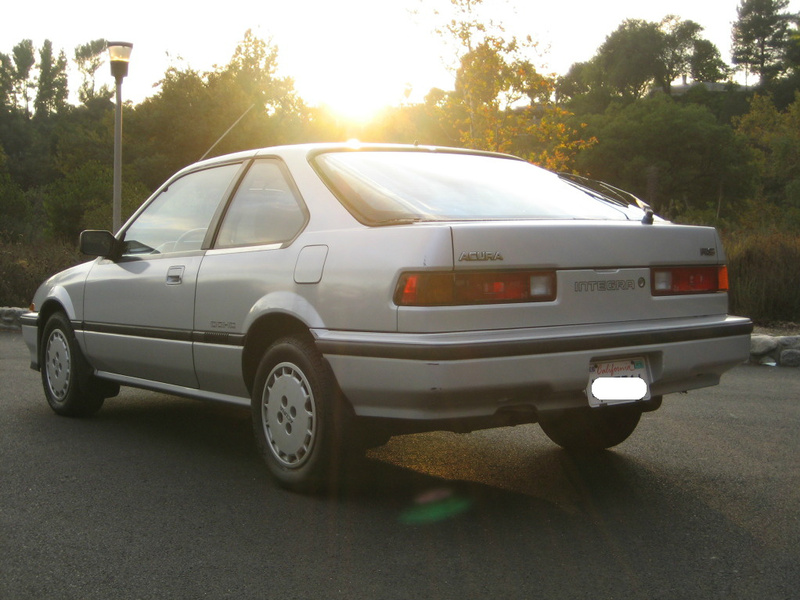 Handling was widely regarded as very good for a front-drive vehicle and the ’87 model made Car and Driver’s 10 Best list for the first of six Integra appearances. Crisp lines in the days before the amorphous blob became popular.